Delaware is located in the Northern or Mid-Atlantic region of the United States. By sheer land size, it is the second smallest state. It is the sixth least populous while still being the six most densely populated. 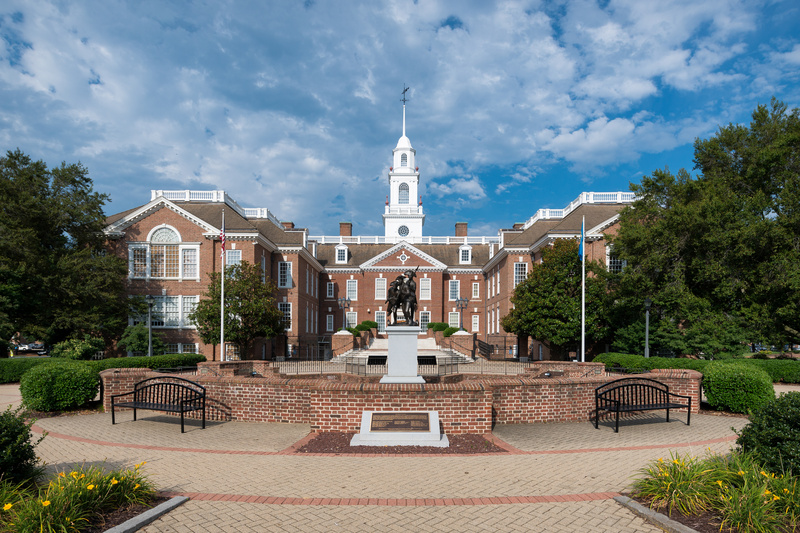 There are only three counties in Delaware, which is the least amount for any state. There is New Castle County, Sussex County, and Kent County. New Castle County has been more industrialized compared to the other counties that are heavily reliant on agriculture. It was the first state to approve the U.S. Constitution in 1787. Delaware was originally home for many Native American tribes, including the Nanticoke and the Lenape, before the presence of any Europeans. The first Europeans to settle in present-day Delaware were the Dutch in 1631. After less than a year of living there, all of the settlers were killed by the local Native American tribe as a result of a dispute. In 1651, the Dutch established a fort under the guidance of Peter Stuyvesant in what is now New Castle. Four years later, it was overtaken by the New Sweden colony residing in what is now Wilmington. The Dutch were then seized by a fleet of English ships in 1664. The land was then under the control of James, the Duke of York, but in 1682, he passed the ownership onto William Penn. Penn had always had a strong desire to have access to the sea from his Pennsylvania province, so he leased the area from the Duke. Representative government was then established, and the region was combined with the Province of Pennsylvania in 1682. However, by 1704, the area had grown too large to fully represent all of the residents, so separate meetings of the council began to take place. On June 15, 1776, the Colonial Assembly in the lower counties in Delaware was convinced to declare independence from the British and Pennsylvania. If you are considering moving to Delaware, you can choose from rural areas to coastal towns with beautiful beaches. Wilmington is the largest city in the state. It is the entertainment and cultural capital of Delaware. It has concert halls, museums, and some of the top-rated restaurants the state has to offer. The Christina Riverfront District has various attractions to keep you captivated all day. Another city to consider is the capital, Dover. This area holds some of the largest events in Delaware, including the Firefly Music Festival and NASCAR races. There are also historical attractions and fun get-togethers like the Delaware Wine and Beer Festival. A small-town option is the city of Newark. This charming town has many exciting activities. The University of Delaware offers theatre, music, and art galleries. There are also trails for hiking and biking at the state parks. Delaware has entertainment options for everyone. If you are moving to Delaware or anywhere in the United States, rely on Vincent Fister Moving & Storage. Our professional movers can pack your belongings for you, so you have one less thing to worry about when moving. We offer various sizes of trucks, so you only pay for the option that fits your needs. We are located in Lexington, KY and provide service to the surrounding area.